GARDEN CITY, NY. — Tampa Rays third baseman, Evan Longoria, is scheduled to appear at Steiner Sports on Thursday Jan. 08, 2015 to sign autographs and memorabilia. The signing will be from 6:30 pm to 8:00 pm at the Steiner Sports Store located at the Roosevelt Field Mall in Garden City. For more details about Evan Longoria’s autograph signing, click here. Photo shows Tampa Rays Evan Longoria speaking in a Feb. 2014 about his goals for the season. 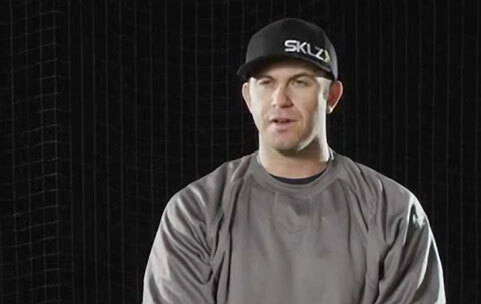 Watch the following video where Tampa Bay Rays Evan Longoria, speaks about his hidden ball trick and shares the best baseball advice he’s received. Nicknamed “Longo,” Evan Longoria plays third base for the Tampa Bay Rays. He is considered by many to be among the best active third basemen in baseball, winning the Silver Slugger Award in 2009. He is also known for his acrobatic defense, winning two Gold Gloves at third base in 2009 and 2010. After signing a ten-year, 100 million-dollar contract extension through 2022, he has been named by many as the Rays “face of the franchise” and owns many of the franchise’s records, including most career home runs, doubles, and RBIs. Playing Field Promotions is a booking agent for motivational sports speakers and celebrities. If you would like to book Evan Longoria for a speaking engagement or personal appearance, contact Evan Longoria’s booking agent for appearance & speaker fees at 1.800.966.1380.